Gigantic Airship Supplies Giveaway - Over 9K Codes for You! Gigantic Airship Supplies Giveaway – Over 9K Codes for You! Gigantic is out now on PC (available via Arc, Steam or Windows Store) and Xbox One and we’ve partnered with Perfect World Entertainment to bring you a giveaway of over nine thousand (not a joke) Airship Supply packs. As pointed out below, the codes provided in this giveaway can only be redeemed on Steam. Follow the instructions below to redeem your code. Click on the “Play Game” button and download Gigantic. Launch the game and create an Arc account. Once in the launcher select the “Redeem Code” button. Enter the code and click “Next” to claim your pack. Gigantic had a fairly troubled development phase. A little over a year ago, after a round of layoffs, developer Motiga announced their partnership with Perfect World Entertainment to publish the game. This finally got the game on the right track, though it’s too early to tell whether it will be successful. You can find an overview of the basic mechanics below. 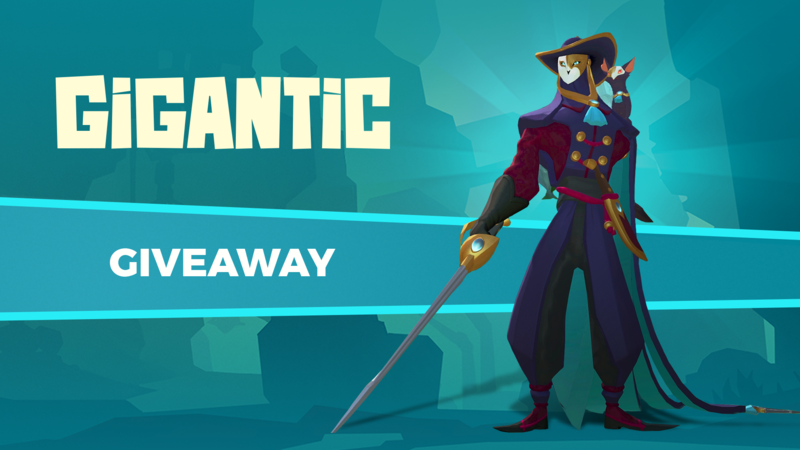 Gigantic is a free-to-play strategic hero shooter developed by Motiga. Gorgeously rendered, light-hearted and charming, it’s suited for all types of gamers, pitting teams of five heroes and their massive Guardians against each other in epic battles across a variety of maps. The game combines explosive combat with fast-paced teamwork, strategy and skill, as players must work together and fight relentlessly to defeat the opposing Guardian with spells, guns and swords.